Mumbai Marathon Latest News: Mumbai is all set for the IAAF Gold Label Tata Mumbai Marathon on Sunday, January 20. In the wake of the event, which will begin at 5.30 AM, the Mumbai Traffic Police has issued an advisory about the roads which are to be avoided. Meanwhile, the BEST buses will not ply on certain routes during the Mumbai Marathon. As per the traffic regulation, the BEST buses won’t run on at least 10 routes between 6 AM and 1 PM. Furthermore, the BEST bus chowkies at Hutatma Chowk, Walkeshwar, Worli Dairy, Kamala Nehru Park, Mantralaya, Grant Road station and Babulnath will remain shut till early afternoon. During the Mumbai Marathon, the buses plying from CST to Colaba-Navy Nagar will be diverted through the P D’Mello Road and Shahid Bhagat Singh Marg. As per the traffic advisory, several roads in South Mumbai are to remain closed between 4 AM and 1 PM due to the Mumbai Marathon. If reports are to be believed, a total of 62 ‘No Entry’ points have been marked around the city for the event, while 15 ‘substitute’ roads have been listed. The traffic department said Bandra-Worli-Sealink and NS Road on Marine Drive will be shut for vehicular movement from 4 am to 1 pm on Sunday. The advisory has advised the commuters to avoid the Bandra-Worli Sealing and NS Road on Marine Drive. Furthermore, it stated that the traffic coming towards south Mumbai from the suburbs will be diverted from Doordarshan Bhavan. Arrangement of shuttle buses have been made from Doordarshan Bhavan to Worli Dairy. The operation of same will be done between 3.30 AM and 4.50 AM. The Central and Western Railway commuters can also avail the benefit of bus service from Mahalaxmi and Parel stations. Commuters travelling to Mumbai International Airport from Colaba are advised to take P D’mello Road-Carnac Bunder Bridge-JJ hospital-Saat Rasta-Tulsi pipe Road-Mahim Church-Western Express Highway route. In order to reach airport from Malabar Hill, people are advised to travel through Nepean Sea Road and go under Pedder Road flyover towards August Kranti Marg-Nana Chowk-Javji Dadaji Marg-Mumbai central bridge-Maratha Mandir-Saat Rasta-Mahalaxmi station-Tulsi pipe Road-Western Express Highway. 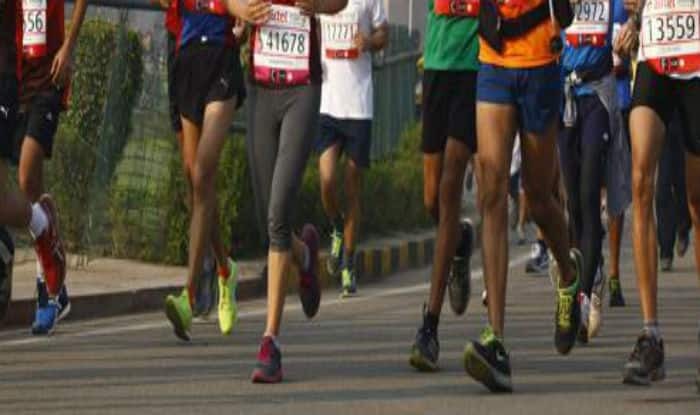 The 16th Mumbai Marathon will be held under six categories – marathon, half marathon, open 10K run, dream run, senior citizens’ run and champions with disability. This time, changes have been made in the starting and ending points of the Mumbai Marathon. The starting point of the half marathon is Worli Dairy while races in all other categories will start from CSMT. On the other hand, the finishing point for half marathon and open 10K run is Hazarimal Somani Marg. The champions with disability race will finish on MG Road near traffic police chowki and the dream run and senior citizens will finish at the Metro.